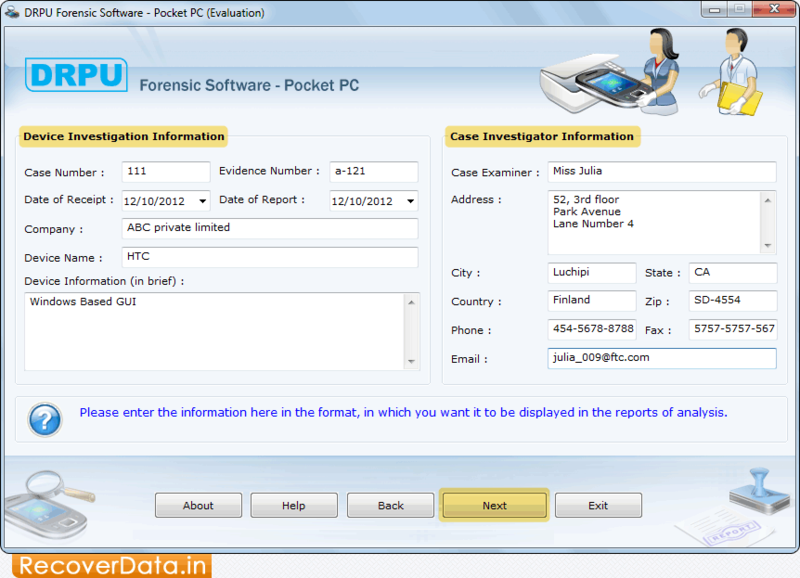 Enter all required details including device and case investigation information. Now click on 'Next' button to continue. 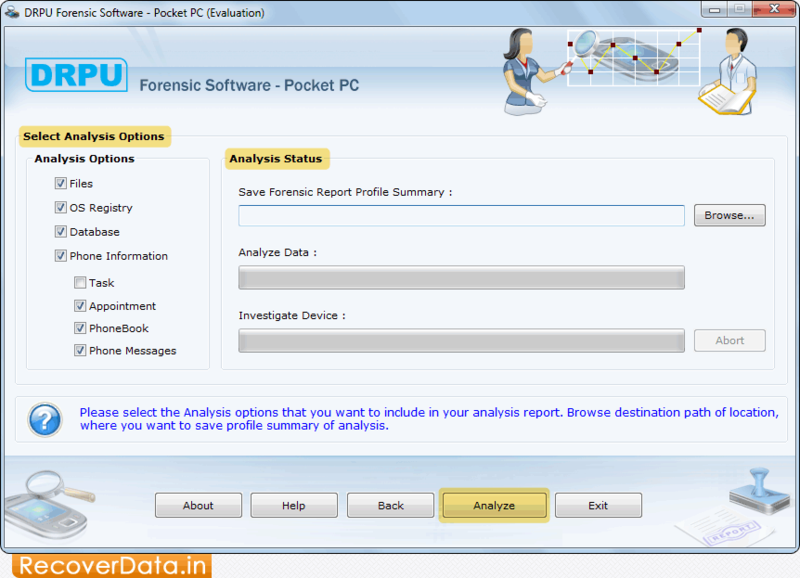 Select Analysis Options from left panel and browse the path where you want to save profile summary of analysis. Click 'Analyze' button.